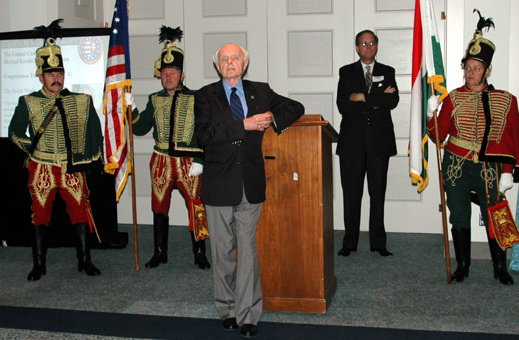 A GALA EVENING "In Honor of the Heroes of the 1956 Hungarian Revolution"
On Friday, October 20th, at 6:30 p.m. The Cosmos Club is located at 2121 Massachusetts Avenue, Northwest, Washington, D.C. 20008. The telephone number is 202 387-7783. From DuPont Circle, go west on Massachusetts Avenue, the Club is located within a block, at the intersections of Massachusetts Avenue and Q Street. Metro stop (Red Line) is at DuPont Circle. AHF 1956 Commemoration Congressional Reception set for October 19th, 2005! AHF cordially invites you to a Congressional Reception honoring the heroes of the 1956 Hungarian Revolution. AHF is kicking off a year of events devoted to making sure Congress and the world remember Hungary's sacrifices for freedom. 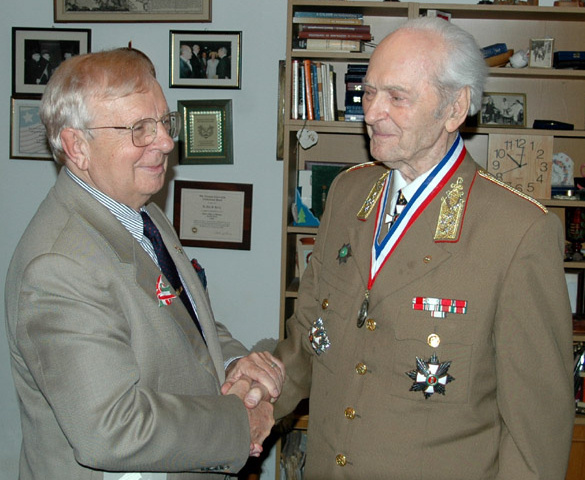 We will be awarding our Kovats Mihaly Medal of Freedom to Congressmen and private-sector Hungarian-Americans for their lifetime achievements and support of freedom and democracy. AHF and member filmmakers Imre and Zsuzsa Toth produced a mini-documentary of the 1956 revolution (seen here) which will be shown at the event and given as a free gift to all who donate at least $56.00. Imre Toth was one of revolutionary Prime Minister Imre Nagy's last cabinet members to escape Hungary with his life. In addition, we will have a 1956 book display featuring the works of internationally renowned members such as Prof. Peter Hargitai, Prof. Beverly James, Prof. Johanna Granville, Dr. Paul Szilagyi, Csaba Teglas, Bela Liptak, Hugo Tischler, and Gabe Kubichek. The event takes place on October 19th at 6:30 pm in the Rayburn Building Dining Room on Capitol Hill. To help defray our costs, AHF is asking for a minimum donation of $56.00: the 1956 mini-documentary is a free gift at this level. Those giving at the Patron level ($195.60) and Kovats Circle ($1,956.00) receive special recognition. Directions and additional details can be found on the [downloadable form]. OR [download the form] and mail it in! 7/26/2005 - The 1956 Portal (www.hungary1956.com) seeking additional photos, films, and other historical information related to the 1956 Hungarian Revolution. 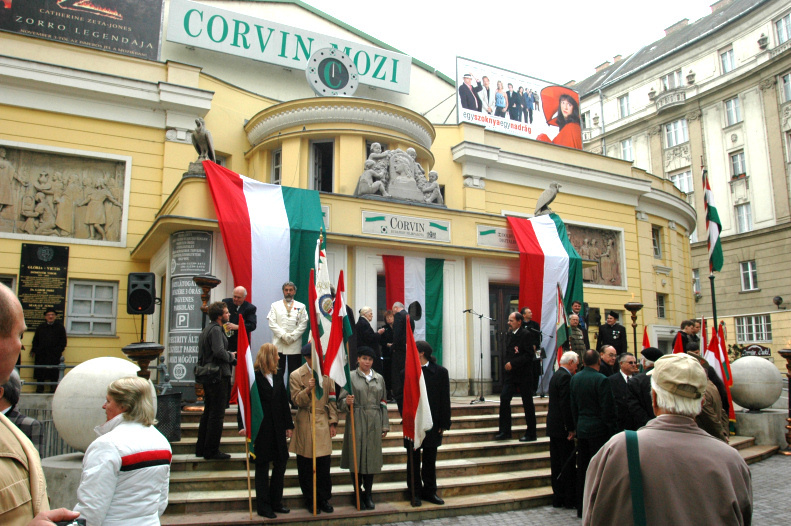 The American Hungarian Federation is sponsoring the 1956 Portal as part of its goals to coordinate and assist member organizations across the country as it continues plans for kicking off a year of events leading up to October 2006. The 1956 Portal serves as a central information resource for 1956 activities as our community prepares for this important milestone. 6/28/2005 - www.hungary1956.com goes LIVE! The American Hungarian Federation is sponsoring the Hungary1956 Portal... as part of its goals to coordinate and assist member organizations across the country, as it continues plans for kicking off a year of events leading up to October 2006. The 1956 Portal will serve as a central information resource for all things 1956 as our community prepares for this important milestone. 6/20/2005 - AHF's 1956 Commemoration Committee continues meetings at its Washington, DC Headquarters at the National Press Building to plan for kicking off a year of events leading up to the 50th Anniversary of the 1956 Hungarian Revolution. 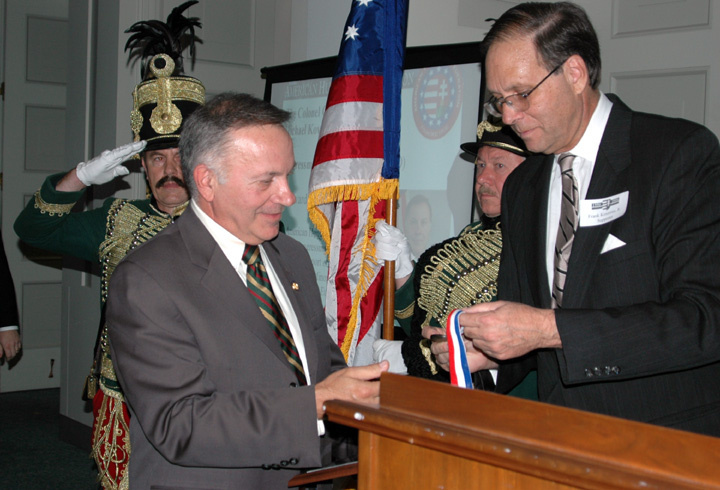 Highlights include a Congressional Commemoration in October 2005. In cooperation with George Lovas and the Hungarian Freedom Fighters Federation, AHF, the New York Hungarian House, a coordinating committee was formed to plan for the 1956 50th anniversary commemoration events in New York. One event is the presentation of arias from the "Bank Ban" with Placido Domingo. Get involved - we need your HELP! [Visit AHF's Website for more information ]. Please help AHF suppport events across the country! Suggested donations are $56.00, $195.60, and $1956.00. Those giving at least $195.60 receive the 1956 mini-documentary film produced by AHF with filmmakers Imre and Zsuzsa Toth as a free gift! Those giving at the Patron Level ($195.60) and the Kovats Circle ($1,956.00) receive special recognition. For fastest processing, donate securely online! Get your Free Website and get the word out about your 1956 50th Anniversary plans! AHF is calling on all local organizations to coordinate efforts to ensure that this important event receives national and worldwide attention. Member organizations receive publicity on the AHF Website and eNewsletters. Importantly, AHF can serve as a central information resource for all. All are invited to help both local organizations and AHF in its own efforts at commemorating 1956 in the Nation's Capital! Join AHF and help us coordinate events around the nation and the world. Contact info@americanhungarianfederation.org or Contribute or join online!